It was another busy week. 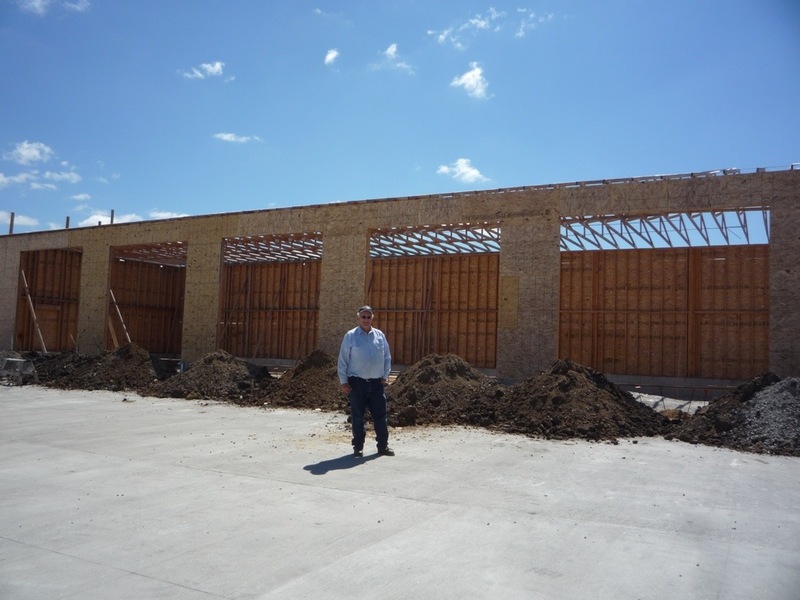 Elder Campbell spent most of the week working on a new building called Phase Four for Facilities Management. He also helped build a new wooden frame for a garbage dumpster and put new sheet rock in a missionary apartment. On Labor Day I also worked in FM, weeding some of the gardens and other places. 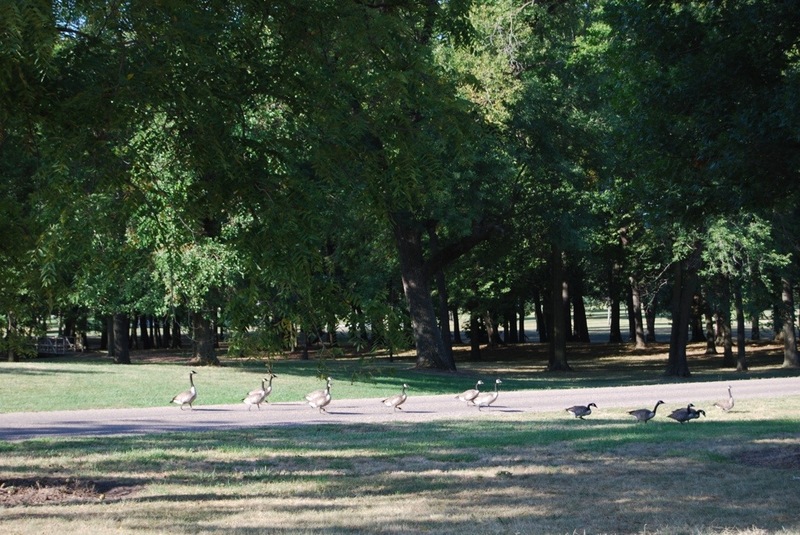 We quit early, as a picnic lunch was provided for all of FM and their spouses. It was a great day to work at FM! That day in Rendezvous I did my part as Sister Hess. My counterparts were President and Sister Gilliland, filling in for Elder and Sister Grygla, who have finished their mission and gone home. 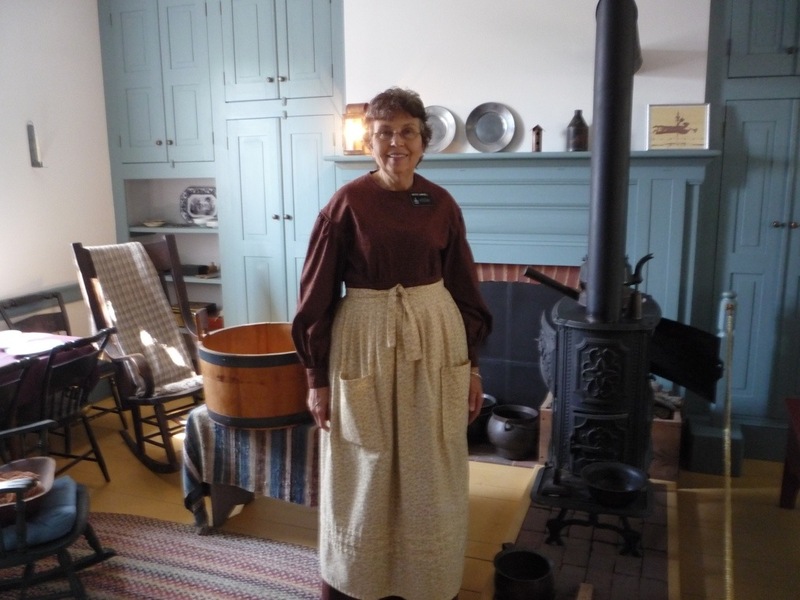 President and Sister Gilliland know several of the parts in the show and join us from time to time. 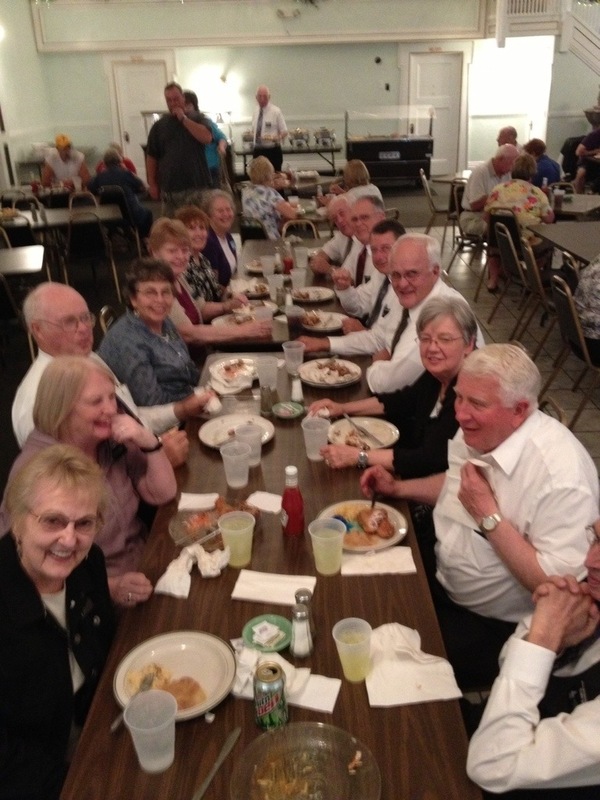 On Wednesday night some of our cast went to Meyer’s Court in Keokuk for a $5 all-you-can-eat chicken buffet. About 16 other members of our cast were there. Later that evening I rehearsed with the male quartet that is preparing a special number for an event on September 23. They are doing a good job and just need to rehearse together more. 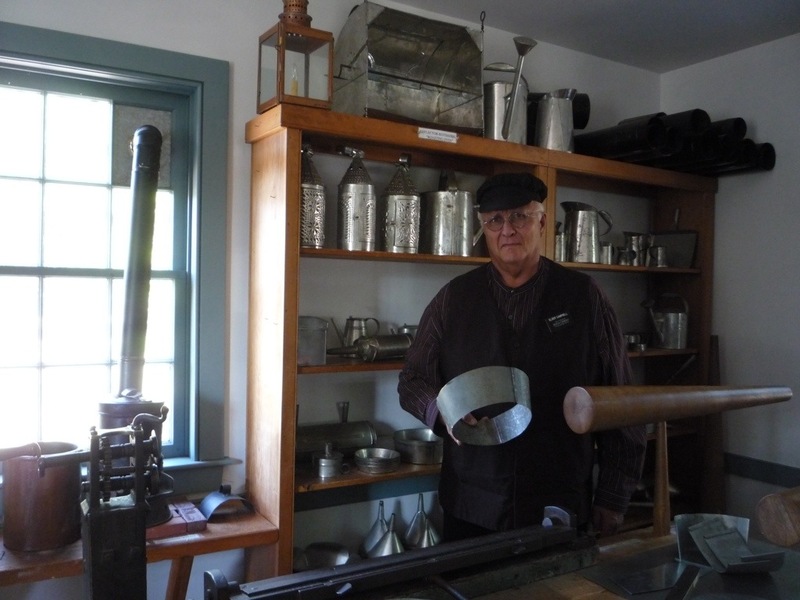 On Friday I served in Land and Records. As I was researching the file of Andrew Jackson Allred, I was looking in a cemetery record book of the Catholic cemetery here in Nauvoo. 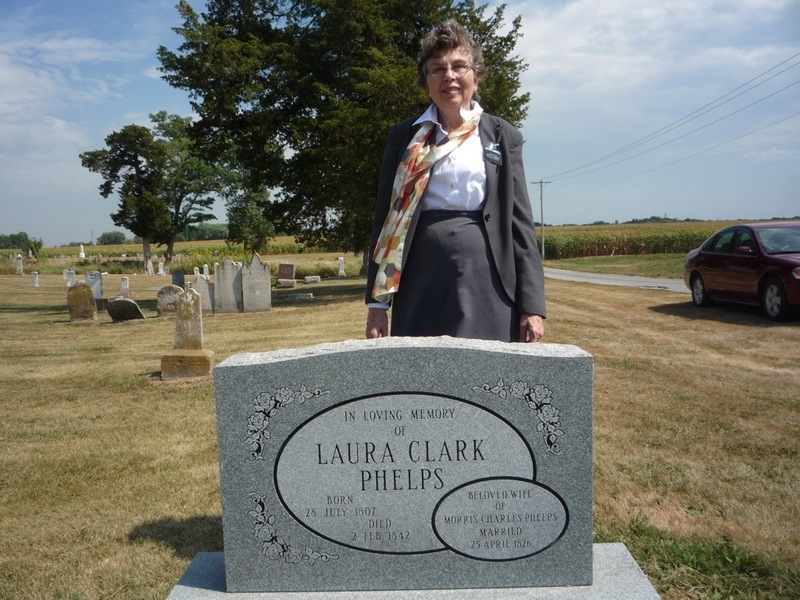 I decided to look up the name of Laura Clark Phelps, my triple great grandmother. I hadn’t been able to find where she was buried, although I hadn’t really tried very hard. Her name was listed in that cemetery, along with the exact location of her headstone. So Yesterday Elder Campbell and I drove over there and came right to the spot. We were happy about that. Today after church we had our first choir rehearsal. It went really well, and they sounded pretty good. They seemed to catch on fast. However, later Sister Bogaski told me that there are a few of them that don’t read music, and would like to spend more time on hearing the parts individually. So next week we will spend a bit more time on that. Directing the choir is fun for me. It does require a lot of preparation in order to do a good job. I need to practice and study the music every day in order to be ready! Tonight we had a sociable or fireside with Lochlan McKay. He is a historian and director of the Joseph and Emma properties that belong to the Community of Christ. He spoke about the descendants of Joseph and Emma Smith. It was very interesting. He is himself a direct descendant of them through Joseph Smith III. In Sacrament Meeting one of the talks by young sister missionary Sister Hughes was on adversity. Adversity is necessary for our growth, she told us. Our adversities are necessary for our salvation. I believe that is true. Without them we will not learn the things about ourselves and about God that we need to learn. Because of them we can become stronger, if through them, we put our trust in God. Today Elder Campbell helped to build a gate for a new pasture for the horses. 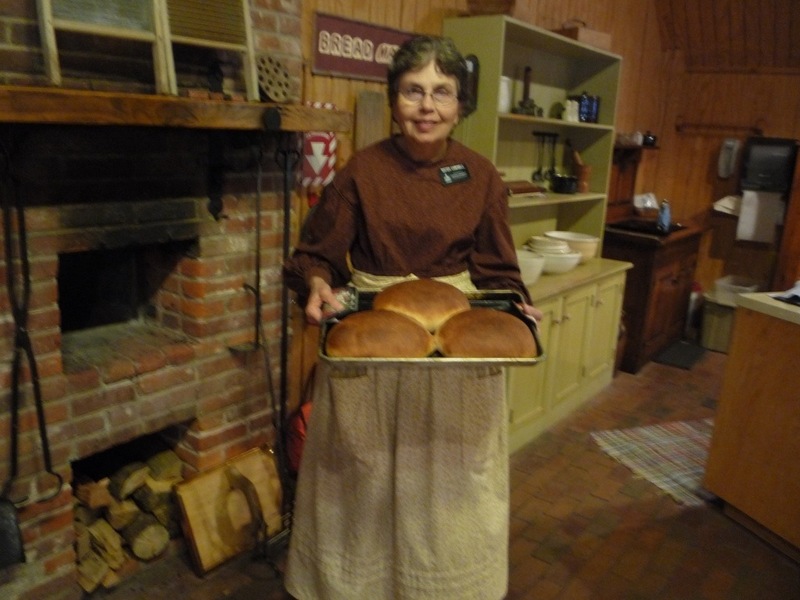 I served in the Family Living Center and made bread in the bustle oven. It turned out quite good! We love all of you and hope you are feeling blessings from our service. We sure are! P.S. 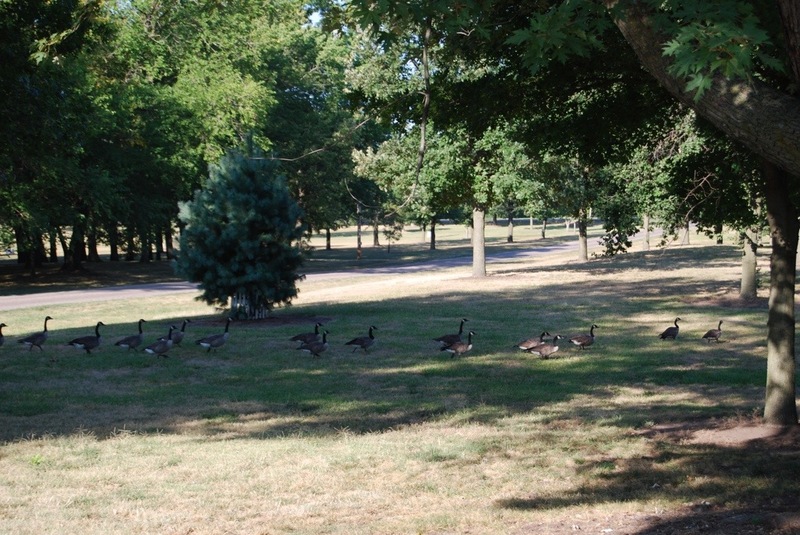 We are including some pictures of the geese that were passing through our area last week. 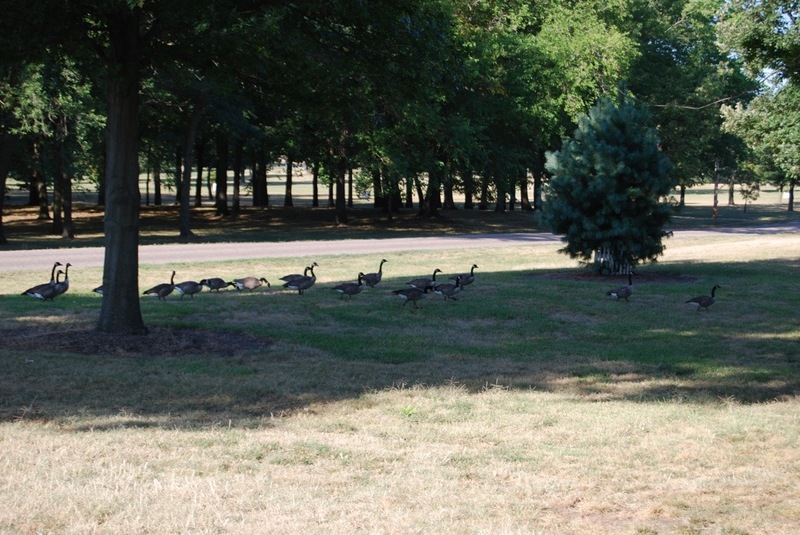 There were hundreds of them right next to our house!